As some of you know, I self-published my novella, BREATHLESS, on April 1st of this year. I'm very proud of how the book turned out and I love it. I've received six great reviews and positive ratings! A few one stars and twos (on Goodreads), but I've not let that get me down. I really loved picking my cover and going through revisions with my editor! I gave myself plenty of time to get things done and actually release the book a few days early. The blogging-community was so helpful in sharing about the release of my new book and participating in the contest I shared! I really had a great time publishing my novella! My novella has been published for 4 months. So, I thought I'd reflected a little about the post-hitting-the-button stage of indie publishing. To talk about the stuff, people don't always wanna talk about. That is for this month. 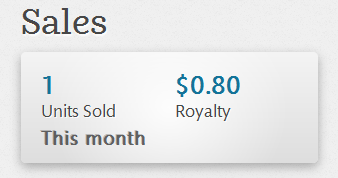 It's the 17th of the month and I've sold one book. One. Now, that is certainly discouraging. Don't get me wrong - I didn't start writing to make money. I don't expect to become famous like J.K. Rowling, Veronica Roth, etc... (I admit, I do want to be Cassie Mae, her books and nerdiness is awesome). But I guess I had hopes of at least making enough money to pay for my Netflix account ($7.99 a month), so I can binge watch Star Trek while writing or at least cover the costs of publishing my novel in the first four months. I paid $150 for the cover, formatting, and editing of my novella. I really wanted it to look nice. Through the Kindle Direct Publishing Select, I did a few promotional free periods to hopefully promote the book. I gave away almost 2000 free books. And it didn't really improve sales or reviews. At this rate, it's going to take a long time to pay for my book and I'm not even making money. I work two jobs, fifty hours/seven days a week, and squeeze in writing when I'm not exhausted. Granted, I'm single and don't have a husband or kids, but I'm busy and writing comes as the thing I love, but don't always have time for. Marketing... I'm not good with marketing and I don't like book-spamming. I did my book contest and didn't do anything else. Some friends spread about my book and reviews, but I didn't really know many other venues for marketing, which made it hard. I know there are a lot of stories out there on the internet about the successes of indie publishing and that's wonderful. But I think there need to be some stories about how stressful and how disappointing the process can be for some of those independently published books, which fall through the cracks. I loved the book, I need to get my review written! Hey, one sale is better than no sales. You did something amazing in putting your book out there, which not everyone has the guts to do. And definitely keep writing because I have heard the best promotion is to release more books. People will love them and check out your back catalogue. You're only at the start of your journey so don't get discouraged! It's a tough and competitive world, but hang in there! You're brave for putting your work out there, and I have no doubt that with hard work and patience, you'll start selling more books. You've been brave and put your writing out there, (braver than me at the minute, who is wobbly about the thought!) maybe it just needs a little more time. Keep writing and best of luck with that second book. It's a slow process lol. But one of the things you should embrace is marketing - there's a big difference between marketing and spamming! Contact some reviewers - as many as you can, because they are the ones who reach people. When you promote within your own blogging circles, you end up really only reaching the same people who would have seen your book anyway. My first book came out two years ago and I'm still learning! The more books you have, the more you will sell, and I know your next one is going to be as brilliant as the first! marketing is the worst! but its the only way - i hate it because i feel like i'm bothering people... but we have to do it. i'm really getting out of my comfort zone and going to a sci fi con... scary! but again, necessary to build a following and get exposure. and doing some good work will surely get your mind off the sales... keep writing and keep your chin up! Self pubbing is so hard because of the marketing!!! I don't really know what to do, but my best guess would be to make friends with book bloggers and see if they'll give you a review in exchange for a free book. That's probably the best way to get your ne out there. Sorry it's been so rough! What a great, and honest post. So very true. We aren't all internet successes, yet. Like you, marketing is the hardest part for me. Like you, I really liked the process of getting the book done. I too, would like to earn $$ from my writing. Maybe one day, and soon! Good luck and thanks for sharing the "other" side of Indie pubbing. 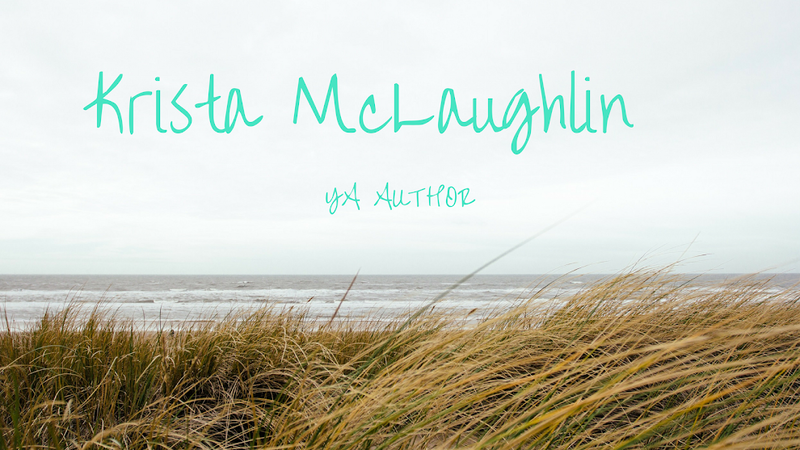 4 Year Blogiversary / GIVEAWAY!